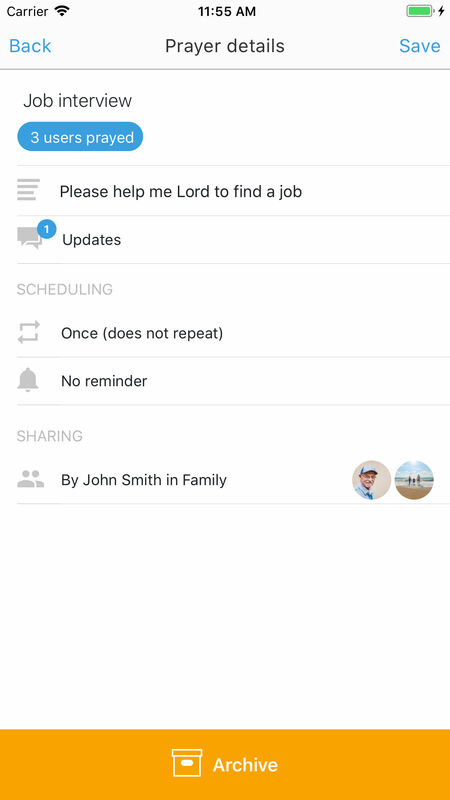 PrayAssist is your personal help when it comes to managing your prayers. 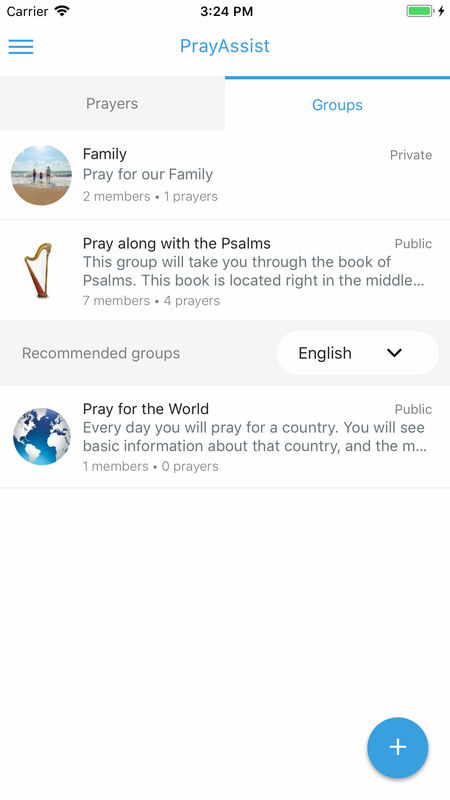 You can create your own lists, join other lists and you can share your prayers with friends. 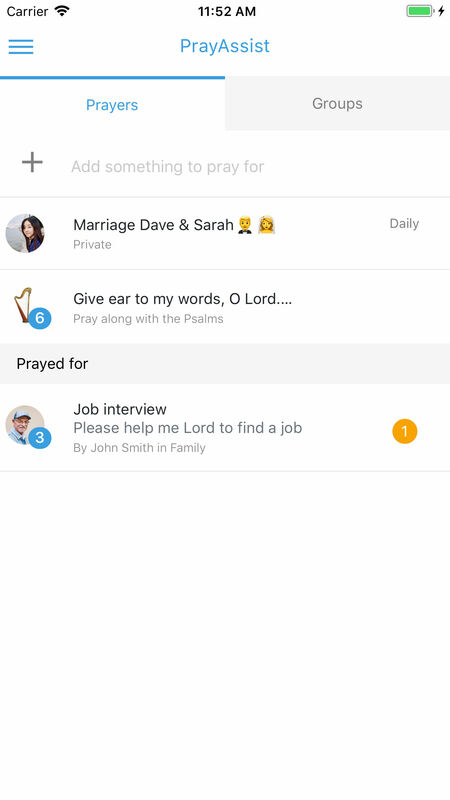 PrayAssist is simple to use for everyone. The way the app is designed allows everyone to use it regardless of age or technical knowledge. You don't want to be distracted during prayer. 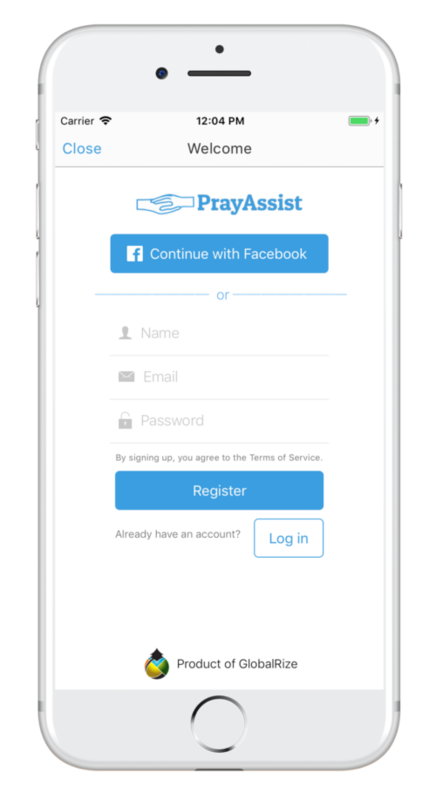 PrayAssist is developed to pray and for prayer alone. No storm of disctracting messages. Easilly share your prayers with friends or family. You can also join public groups to grow in prayer or pray together for certain themes. 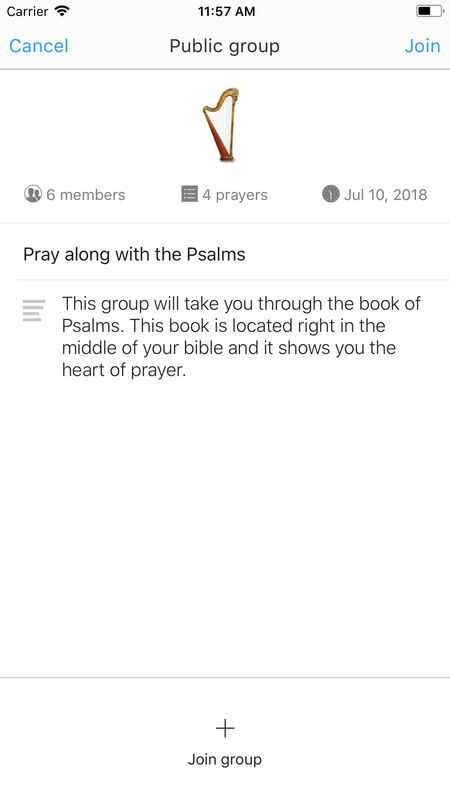 You can create a group by pressing the '+' icon in the groups tab of the app. How can I set a reminder? There are two ways to be reminded to pray. The first one is based on a interval. By tapping on a prayer you get the option to schedule an interval: daily, weekly, monthly. The prayer will be placed back in the to pray part of the list on one of these intervals. The second way to be reminded is by setting a reminder. This will notify you to pray by a notification on your phone. How can I invite friends that are not on facebook? You can invite your friends to install PrayAssist by pressing the 'Invite friends' button in the settings menu. If your friend is already on PrayAssist you can search with the 'Find new friends' button in the settings menu. How do I start a public group? We love the feature to join public groups. For example praying through the Psalms where people grow in prayer through this wonderful book. It also helps us (GlobalRize) to share the prayers we have for our mission with our supporters. Do you also want to create a public group? Get in contact with us. Available for iOS and Android. This app is developed by GlobalRize. We offer this app for free. If it is helpful to you, please consider making a donation. This helps us to keep improving PrayAssist.